A Fellow of Chartered Accountants Ireland and an AITI Chartered Tax Advisor, CTA, Jackie is an expert in corporate and international tax. 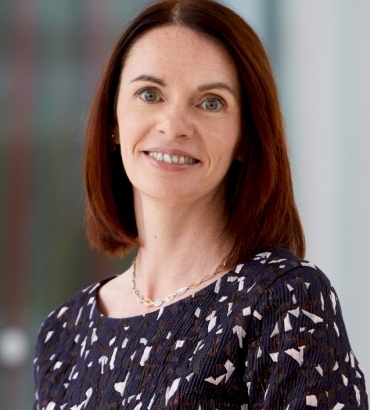 She has substantial experience in inward and outward investment and provides tax advice for domestic companies expanding internationally and for overseas companies establishing or acquiring Irish businesses. Jackie has assisted many companies to establish tax efficient structures. A specialist in international tax, technology and manufacturing, Jackie has particular expertise in the property sector where she advises investors and developers on structuring their investments at home and abroad. Jackie serves on the Council of the Irish Taxation Institute and is a regular speaker at industry conferences and seminars. Jackie Masterson, Tax Partner at RBK, presented on The Optimum Tax Structure - Considerations Now & for the Future at a Tullamore Business Lunch hosted by RBK in November 2018.